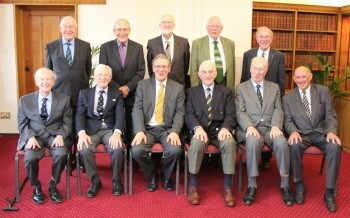 Old Whitgiftians who were assigned roles as Prefects in 1948 have met for lunch for the last time at Whitgift School. The group of gentlemen has met regularly since the first reunion in 1958, a testament to the bonds that were built at Whitgift School more than 65 years ago. The group of ten ex-prefects and their wives attended the final reunion lunch at the School at the Headmaster’s invitation. They joined Headmaster, Dr Christopher Barnett, in his study for drinks prior to making their way to the Old Library for lunch, some short speeches, and a healthy helping of nostalgia. CLICK HERE for link to Croydon Guardian article.